As a day one device the new Apple TV feels a bit half-baked, especially in light of the strengthening competition. And as it's taken a couple of years for a refresh to appear, so we feel Apple should be a step ahead of the game. The future of TV is here. Well, that is the supposed promise from Apple. But with 4K competitors such as the Amazon Fire TV upping the resolution stakes and Apple sticking to its Full HD guns, can the Apple way compete? Actually, for the most part, the new and improved Apple TV for 2015 delivers. But is the future of television really about shopping apps or tracking a flight? We've been watching, playing, and even shopping to find out whether the upgrade or first-time purchase of the new Apple TV is worth it. 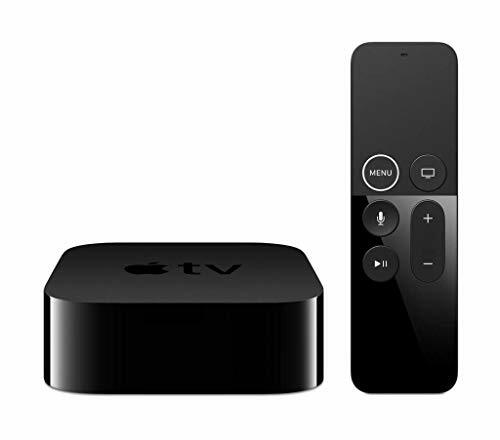 The new Apple TV has new hardware, new looks, new processors, new connectivity options, and even new software. It's all very new, and about time the original box saw an update. On the hardware front, it has been beefed up to be able to now run games, while adding a visually-enticing interface, and Siri is now available so you can talk to your TV (as long as you press the button on the new remote first). As previously, the actual Apple TV is a boring black box that, we suspect, will sit out of sight. The remote is now connected via Bluetooth, which makes things a little easier as it doesn't require line of sight, and it means you can effectively forget about the main unit. The design has changed ever so slightly compared to the original: the new Apple TV box taller (about double the height), and while the keen eye will notice the difference, it is not a radical overhaul worth spending any time on. Inside, there is a processor that has enough muscle to do what it needs to do. Most apps load quickly, and while bigger games do take some more time, but we've yet to see any jitters or issues running of apps. Like iOS you get an app tray to switch between apps quickly. Watch a movie, play a game, do some shopping. It's all accessed from the home page. In terms of Wi-Fi, it's the faster 802.11ac format, so it should have no trouble at streaming content wirelessly - we've not had any problems - or if you're worried about that then you can use the Ethernet port on the rear for a direct connection. Completely overhauled, the new remote is bigger than before, features a touchpad at the top for navigating around Apple TV's interface, and has a series of buttons for quick access to certain tasks. The remote also includes an accelerometer and gyroscope, so it can be used a bit like the Wii Remote motion controller from Nintendo, as and when needed for games like Beats Sports. If you're worried about losing grip of the remote while swinging it around playing games, you can get an optional extra called the Apple Remote loop - which plugs into and subsequently locks into the Lightning port at the bottom of the remote so you can wear around your wrist. Health and Safety and all that jazz. For those keen to have one remote to rule them all, you can now use the Siri remote to turn on your TV and control your volume. Yes, even if you've got a separate speaker system like a Sonos Playbar, for example, it can all run via the Apple remote. But the biggest feature - aside from that mini trackpad that is used to navigate around the Apple TV interface - is the addition of a Siri button, allowing you to simply press like a walkie-talkie and talk to Apple TV from your sofa without having to shout across the room like you do with the Xbox One. Commands are limited, and currently only focus on searching for movie and TV show requests for Universal search (iTunes and Netflix), controlling playback, and opening Apps. There's no support for Apple Music (coming soon supposedly), or in-app search in the same way Siri works on the iPhone or iPad. Which is a shame, as it could be even better. The Siri playback controls are really clever though. Commands like "what did he say?" rewinds the movie back 30-seconds and then overlays subtitles for the bit you missed. On the search front you can ask a number of search queries like "movies staring Meg Ryan and Tom Hanks" to ensure you get to watch Joe vs the Volcano. Ask for Bond movies and you'll get a list of titles available - or you can take things further by requesting only the "Daniel Craig" ones and the results filter and show up whether it's available on iTunes, Netflix, or both. Kind of like Amazon Fire TV, albeit with fewer resources to pool from. The new Apple TV is all about apps. Out of the box, the Apple TV looks incredibly bare, though, with only Apple apps installed at that start. So you'll be heading to get other apps pronto. But while the potential here is massive, the selection at the moment is a bit meagre. It's early days for the new TVOS, so that's understandable. Check out our best Apple TV apps and Best Apple TV games features for some suggestions. In the UK there are plenty of entertainment apps to get you started like Now TV, Sky News, Netflix and YouTube, but a number of key entertainment apps are missing. There's currently no BBC iPlayer (it's promised), no Channel 4, Demand 5, ITV Player, and no Amazon Prime. In the US the picture is slightly better. You can get CBS, Showtime, WatchABC, Fox Now, Hulu, USA Now, CNN Go, HBO Now, WatchESPN on-demand services, meaning all the major services are covered. However, Amazon Prime is still the notable service missing here (it's also missing from Roku). Forget about TV, and the Apple TV is happy to show its app credentials elsewhere. There are already shopping apps (Gilt), cooking apps (Yummly), home renovation apps (houzz), exercise apps (zova), and even karaoke apps (Sing! Karaoke). Make no mistake, apps is where the Apple TV is going to shine. Apps worked their magic for the iPhone and the iPad, and they will do the same here - if that's what you're after. 2015 Apple TV review: A games console? If apps aren't trying to let you plan how your bedroom looks in your next house or give you those six minute abs, then they are about giving you games to play. Apple TV is already inundated with re-workings or ports of popular iOS games, and that's before developers have really got to grips with what the set-top box can do. There are some gems, although most could be categorised as casual and repetitive rather than in-depth like you'll find on the PS4 or Xbox One. So far we've enjoyed multiplayer Crossy Road, Shadowmatic, Lumino City, Alto's Adventure, and Geometry Wars. Most are available as a universal purchase, so worth checking if you've got them already, although some like Beats Sports or Does Not Commute cost extra on Apple TV. While all games support the Apple TV remote, you'll get a lot more out of it with a Bluetooth game controller. There are plenty on the market, however we've been playing with the Mad Catz C.T.R.L, considered one of the best available and it really makes a huge difference to the gameplay experience, as well as allowing you to play two-player games in some instances. It's fair to say that the Apple TV is no Xbox One, playing games on this device is a lot more accessible. We've already found ourselves losing 10 minutes playing Alto's Adventure while waiting for a movie to start on "real" TV. What we especially like is iCloud support, meaning progress gained on the Apple TV can be carried over to your iPhone or iPad and vice versa. As you might have noticed, we've spent a lot of time focusing on what Apple TV can do, and that's not 4K Ultra-HD. Although there's not a lot of 4K content in the world at the moment, that decision does immediately put the new Apple TV behind the competition. It's as much as a shock to us as it is to you, and while we understand that the world of 4K is still in its infancy, the lack of 4K support here is puzzling. Especially for a dedicated TV set-tip box. Naysayers will say it is no biggie. They'll say that there's still only a handful of 4K movies available, that you'll need a 15MB line to streamline content, and that most don't have a 4K screen anyway. This is a device for the lowest common denominator. That argument would have worked earlier in the year, but as we head into Christmas 2015, the landscape is changing fast: the Amazon Fire TV now supports and offers 4K content, Sky TV is expected to launch a 4K service in the coming weeks, and the mere fact it is not present, even as an option, makes Apple look somewhat left behind. From a technical standpoint the use of HDMI 1.4 does mean the Apple TV could support 4K content, but only up to 30 frames per second (which is fine for movie playback at 24fps). However, it lacks HDMI 2.0, so there's no 60fps support, nor compatibility with HDMI 2.0a upgrade for HDR content (which Amazon is already beginning to deliver compatible content). The bottom line is that if you are looking for a 4K content offering for your TV, the Apple TV isn't the box to do it. It's a more casual approach, with a focus on apps and games at the usual Full HD (1920 x 1080) resolution. There's no accompanying remote for your iPhone (like there used to be), key apps are currently missing in the UK (BBC, Channel 4, ITV, Demand on 5), there's no Siri for Apple Music or universal search beyond iTunes and Netflix, and app discovery is pretty basic to say the least. On the hardware front there's no 4K support, and if we're being picky no Bluetooth keyboard support either - so inputting passwords is slow and tedious. However, most of these complaints are all fixable (4K with HDMI 1.4 hardware limitations, though, if any support ever crops up in the future), and probably will be fixed in the near future as Apple gets its act into gear. Still, you can buy the Apple TV right now, so it should have hit the ground running. Right now it doesn't deliver on its promise of being the future of TV. What it does deliver on, however, is the app experience. We've been asking for apps since the launch of the original device, and now we've got them we can see the benefit. There is no doubting that this is the best Apple TV to date, but the use of "TV" is almost a distraction to the device's main focus. Over time it will become better, with a wider library of content and apps - but until that day the experience just isn't quite as enjoyable as we would have liked or expected.